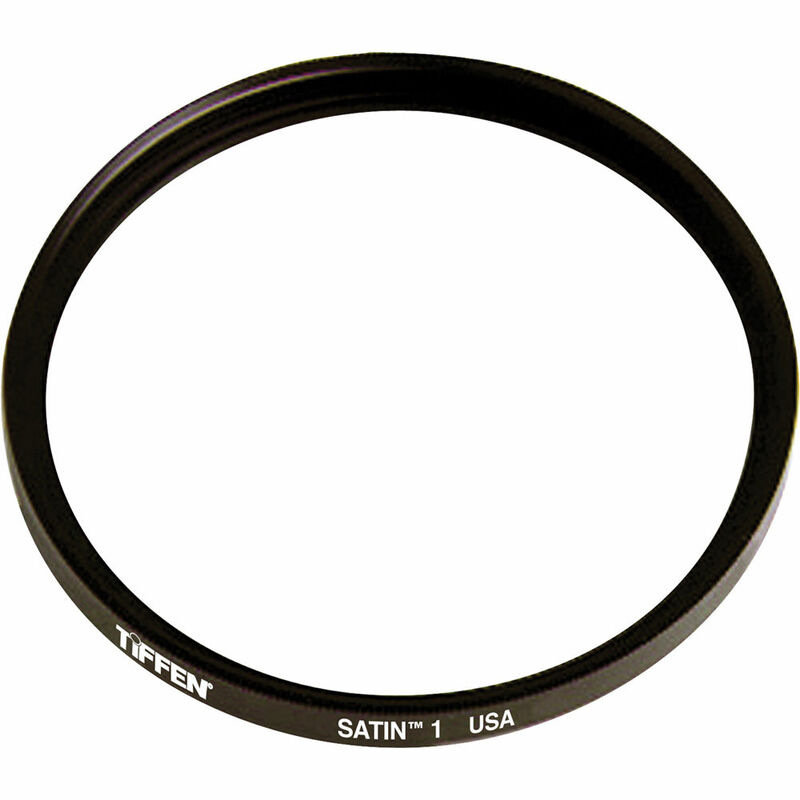 The Tiffen 77mm Satin Filter can be applied to purposely reduce the appearance of blemishes and wrinkles. This can be useful for creating a more flattering result of a subject while highlights are softened, contrast is reduced, and textures are given a smoother appearance. Additionally, a halation effect around highlights is created which can further enhance a subject's appearance or produce a desired effect while overall sharpness is maintained. This filter has a grade of 1. Grades of 2 and 3 are also available where this filter type's effect becomes approximately twice as strong with each grade number increase. This filter is constructed from water white glass for increased clarity as well as color fidelity. It is made using ColorCore technology, a process that involves laminating the filter substrate between 2 pieces of optical glass and grinding flat to a tolerance of 1/10,000th of an inch, and then mounting to precision metal rings.